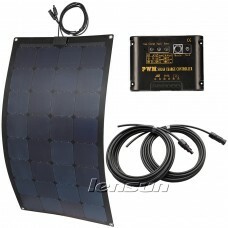 Lensun 30W 18V ETFE Coating Folding Portable Solar Charge for charging 12V battery, Ideal for Outdoor camping Rvs, caravans,motorhomes, boats and yachts. 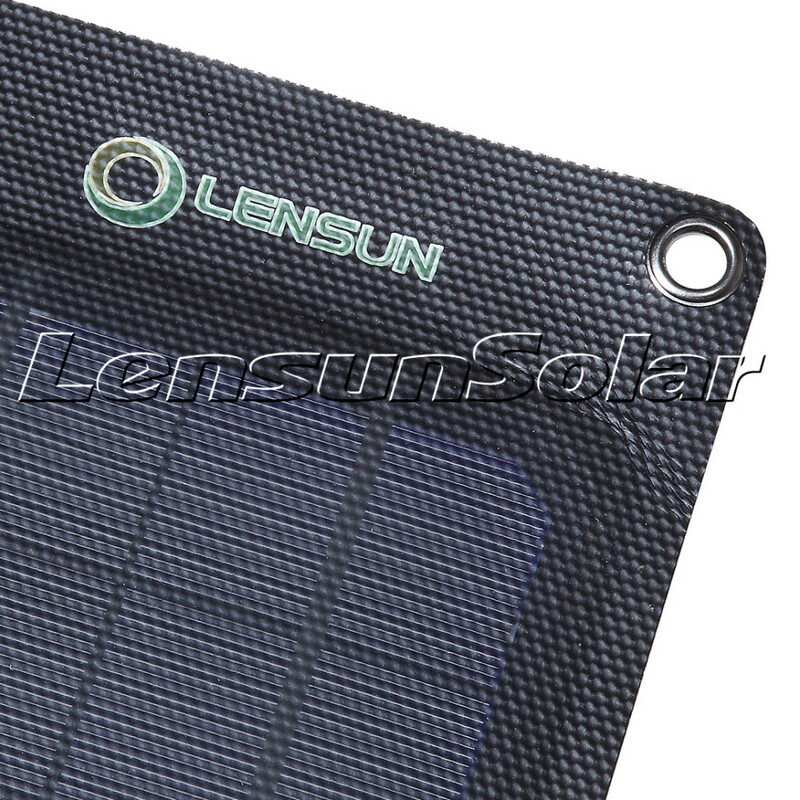 Lensun uses ETFE integraded lamination technology on the solar charger NOT the cheap fabric, This ETFE laminated solar charger has non-adhesive surface properties. Highly stain-resistant and easily gets cleaned by the rain. And ETFE integrated Lamination solar panels do not reflect the light. 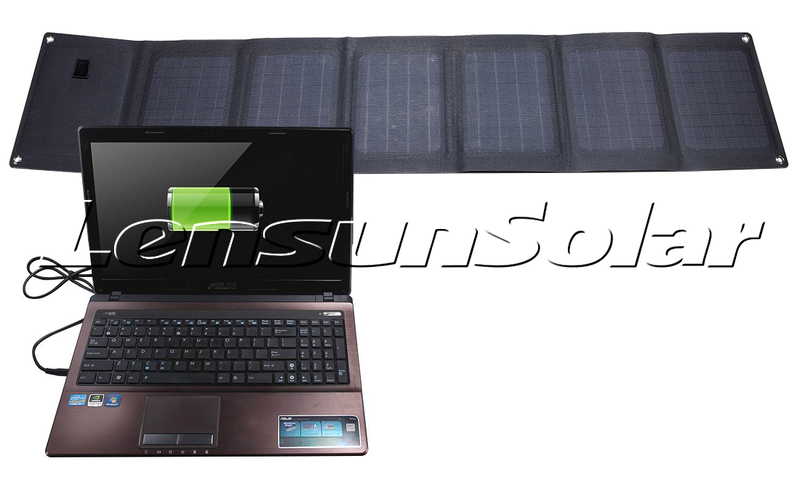 Dimple technology on the surface captures more sunlight and increases 5% solar absorption rate. 1.The Latest ETFE lamination In technology. More waterproof than fabric folding panel. 2.High transmittance ETFE thin film, absorbs more sunlight and not reflect it. Not producing glare and not creating traffic risks to cars and airplanes. It is safer in outdoor. 3.Highly stain-resistant and easily gets cleaned by the rain. Ultra lightweight and durable. 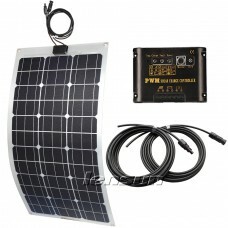 4.Easy to set up, Easy to carry and Easy to store so that it can be used anytime and anywhere. 5.Portable folding solar panel kits aren’t new, but the performance and design of these off-the-grid power solutions is continually improving. 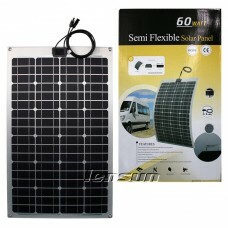 6.It is ideal and necessary for outdoor activities, such hiking, camping. 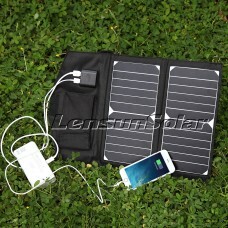 Portable solar charger are quiet, simple to use, and environmentally friendly, making them great for bringing more comfort to camping. 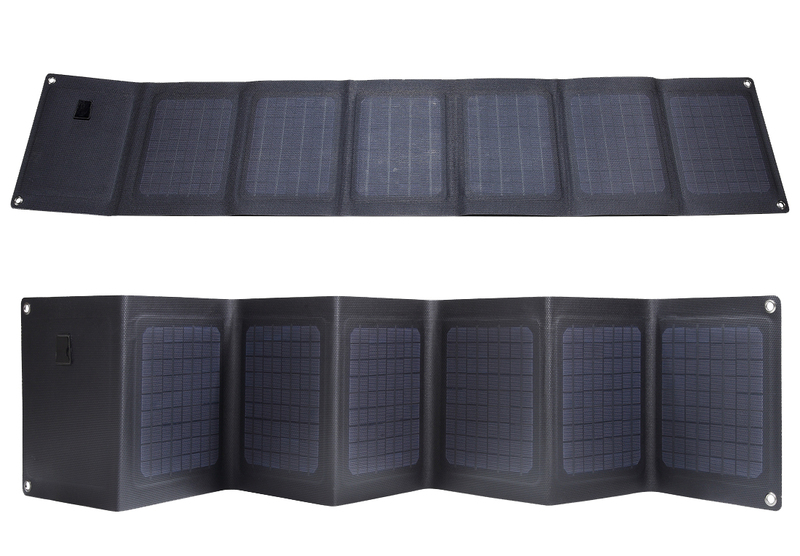 ETFE lamination folding solar panels can be customized 10W – 180W based on different requirements, like colors, load voltages and power. 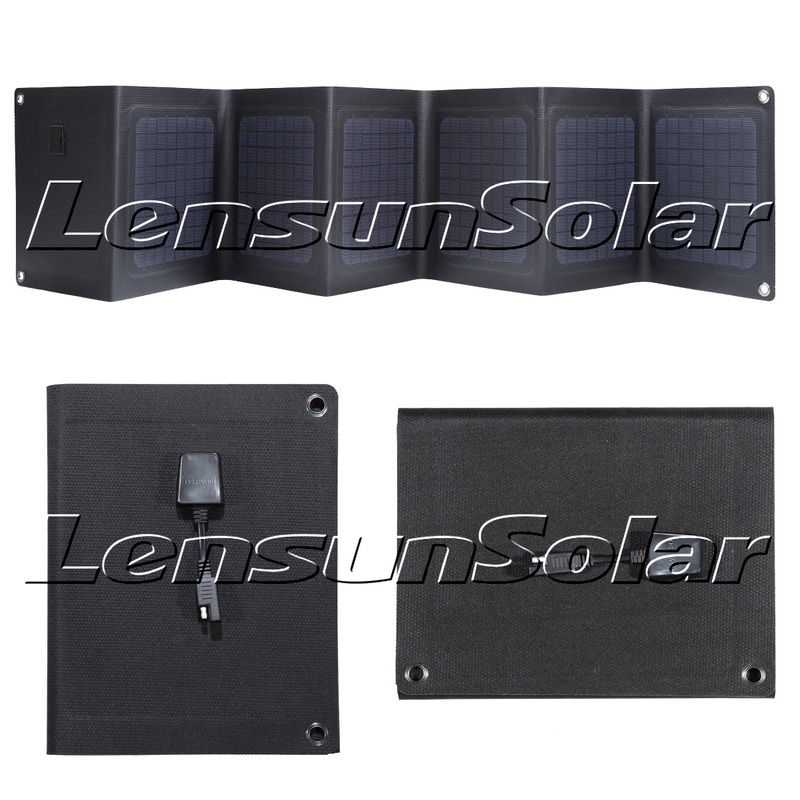 If you have any other reviews or advice about Lensun solar panels, Please contact us or call us in the following information from Mondays to Fridays.